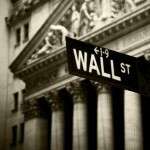 I have misgivings about Wall Street. Their short-term trading distorts the energy markets, almost beyond recognition. Indeed, the past year has shown clearly how disastrous such speculation can be. But there is a way to remedy this situation: You. Is Now the Time to Buy an Oil Index ETF? Given the action that has taken place in the sector over the past several months, I haven't had the opportunity to sit down and answer your many energy investing questions. So let's do that today. First, many of you have asked about the status of liquefied natural gas (LNG) exports from the United States and how that will impact the global market. There's no end in sight for the energy market's struggles. West Texas Intermediate crude is down 26% in the last 12 months alone. Natural gas is off 19% over the same period. But there's bullish momentum with this "energy metal" right now. In fact, it's up 28% since July 2015. Not long ago, the idea of disconnecting from the electrical grid and opting to live a "self-powered" life was limited to either "survivalists" or the realm of science fiction. Back in 1973, the English economist E. F. Schumacher published Small Is Beautiful. The idea of the best-seller was to treat economics "as if people mattered." The best way to do that, Schumacher posited, was by bringing the main elements of people's lives closer to where they lived (remember, this was at the peak of the 1973 oil crisis). Basic human needs and well-being should be prized above materialism and the "bigger is better" mentality. WTI crude oil prices climbed over $56 per barrel this week for the first time in 2015. Now investors are looking for the best way to play rebounding oil prices, and many are buying into an oil index ETF. At this week's high, crude oil prices are now up 28% from the lows they hit in early March. But this is not the best time to buy into an oil index ETF. 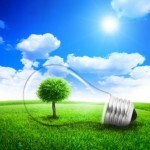 The renewable energy market is poised to take a major step forward. In this "post-oil" age, biofuels are gaining market share. And North America is now expected to generate the largest share of revenue.